First steps are being taken by a loosely organized local ‘committee’ to investigate the possibility of establishing a YMCA in Mesa County, and more specifically, in Palisade. Tara Morrison, acting as spokesperson, updated the members of the Park and Rec Advisory Board at their monthly meeting last Thursday evening, February 23, of the progress so far. From preliminary talks with the ‘Y’, Morrison explained that the first step necessary is to raise about $12,000 (and it’s tax deductible!) to fund a feasibility study by the YMCA to evaluate factors such as demand, possible locations for a facility, and possible funding sources. She will be meeting soon with CEO of the Boulder YMCA to gather more information. 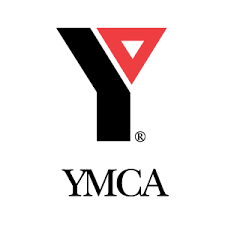 It is estimated that somewhere around $13 million would be needed for a facility meeting the requirements of both the community and the YMCA, and the Y itself is not to be considered a source of the funding. Local sources would need to be found, as well as application for any available grant funding for such a project. Formation of a Recreation District was also discussed as a way to fund a rec center complex without the involvement of the YMCA, but Morrison felt that with the limited volunteer base and funding available locally, that the “tried and true approach” of the YMCA in providing programming and facility development guidance would be worth the partnership. Upon completion of the feasibility study, another $500,000 or so would be needed as seed money for the next phase of the project. A location would need to be found, grant applications filed, any specific studies funded, local fundraisers and committees established, etc. Morrison has received a statement of support from both the Town of Palisade and the Palisade Chamber of Commerce as a first step, although neither is prepared to offer any type of funding at this point. PRAB members received Morrison’s update enthusiastically, offering as much support as possible from a volunteer board without a budget. Tara has already begun plans for a local fundraiser, with area musicians ‘Jack and Jill’ donating their entertainment for the event. 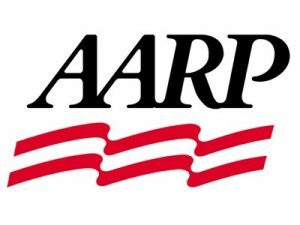 Also discussed at Thursday’s meeting was the possibility of Palisade being designated an ‘AAPR Age Friendly Community’ by the international AARP, Inc. (formerly known as the American Association of Retired People). Although it is simply a designation, AARP is such a widely known brand that it would still be a real boost to the local economies of the Grand Valley, and conceivably aid in securing grants and funding for other age-related projects. A decision on whether to bestow the designations will come from an AARP meeting to be held in May of 2017. Labor Day weekend could be a busy one in Riverbend Park with the Disc Golf State Championship being considered to be hosted locally. Both the Riverbend Park course in Palisade and the Watson Island course would be used for the tournament. New signage for the disc golf course is being installed, and upgrades of tee boxes and basket ‘holes’ are still being completed. Final decision on the Championship location will be made in April by the Disc Golf Association. Sarah Brooks, Park and Rec Director for the Town of Palisade, is also planning to hold a disc golf mini-championship as one of the kids’ activities offered during the Bluegrass Festival in June. Work on both the Palisade skate park and the Cameo sport shooting complex continues. There will be a third tile-painting session at Palisade High School in the Art Room on March 16 from 6 – 8 p.m. For a nominal fee, you design and paint a tile that the students fire and finish, to be used as a part of the new skatepark design. Construction on a temporary outdoor range on the Cameo property has begun and should be open soon. Once it is being used, officers from Colorado Parks and Wildlife will be closing off access to the public to other shooting complex property, providing ‘safe zones’ for non-shooting users of the property. A design firm has been hired and is working on the project with a ‘1st Shot’ groundbreaking ceremony tentatively planned for May of this year. Trustee Robynn Sundermeier attended the PRAB meeting in her new position as ex-oficio member, replacing Trustee Thea Chase. Other members attending were Desa Loughman, Debbye Harmon, Chair Janet Prager, and Elizabeth Birmingham in attendance by phone from her lawn chair in Key West, as promised. The next meeting of the Park and Rec Advisory Board is scheduled for Thursday, March 23, 2017, at 6:30 p.m. in the public meeting room of the Civic Center at 341 W. 7th Street in Palisade. Agendas are available on the town website at www.townofpalisade.org or at Town Hall at least 24 hours before each meeting. All meetings are open to the public.